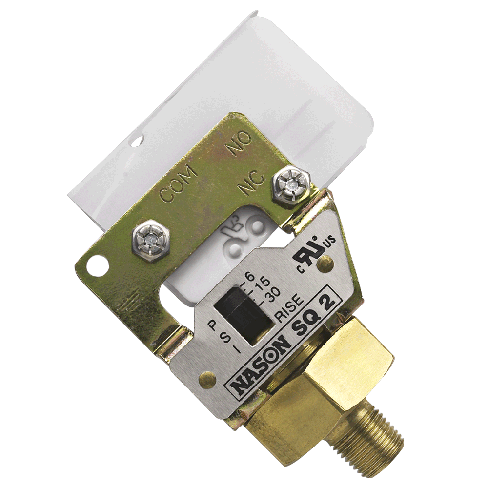 The SQ range of pressure switches are an economic pressure switch with user adjustable set point. 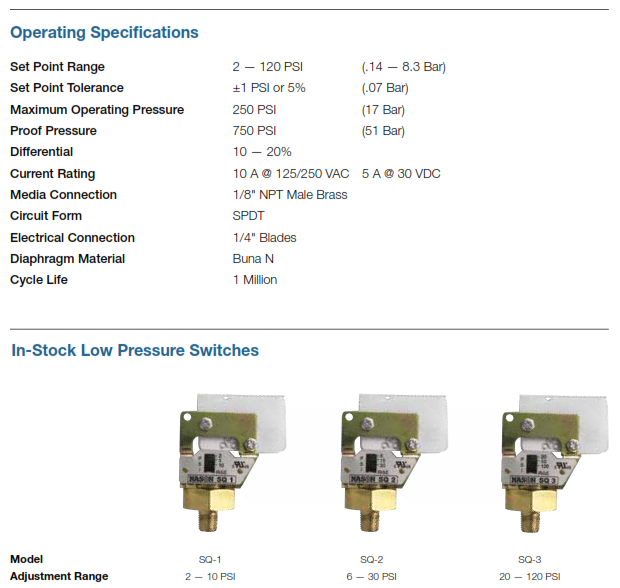 The SQ pressure switch is available in 3 pressure ranges are available to cover the range of 0.14 to 8.3bar. 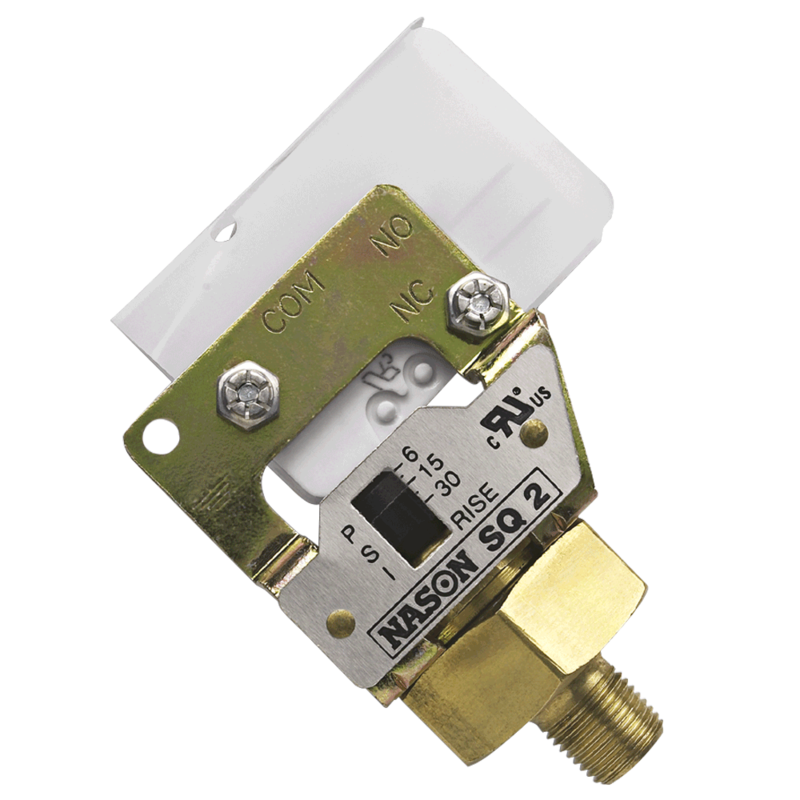 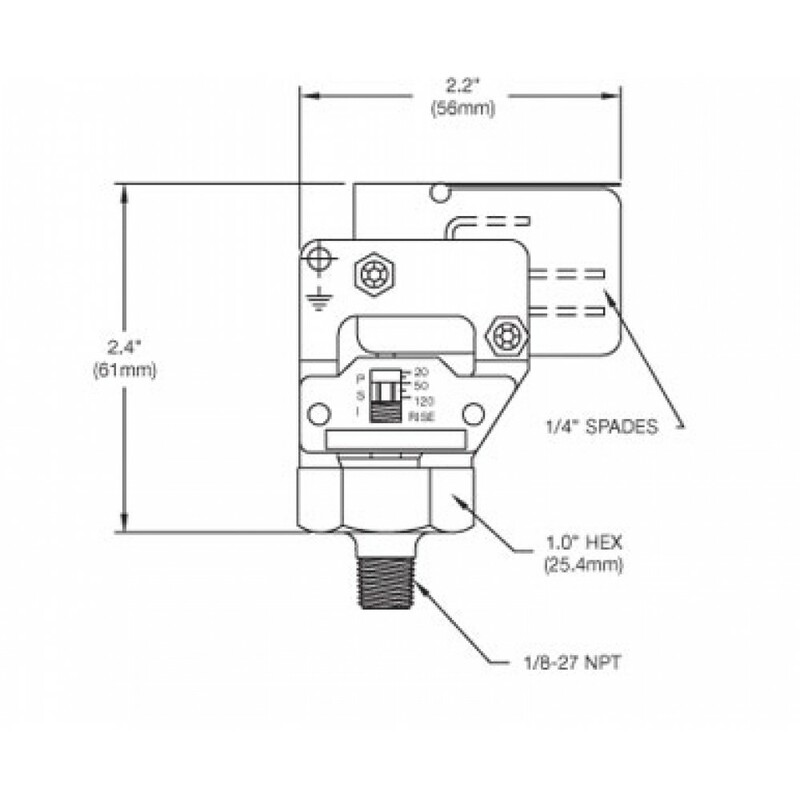 This pressure switch has a scale to show set value and is available with a number of pressure and electrical connection options.